Our apartments are located in several buildings and depending on the type you choose, they can comfortably accommodate from 2 to 8 people. 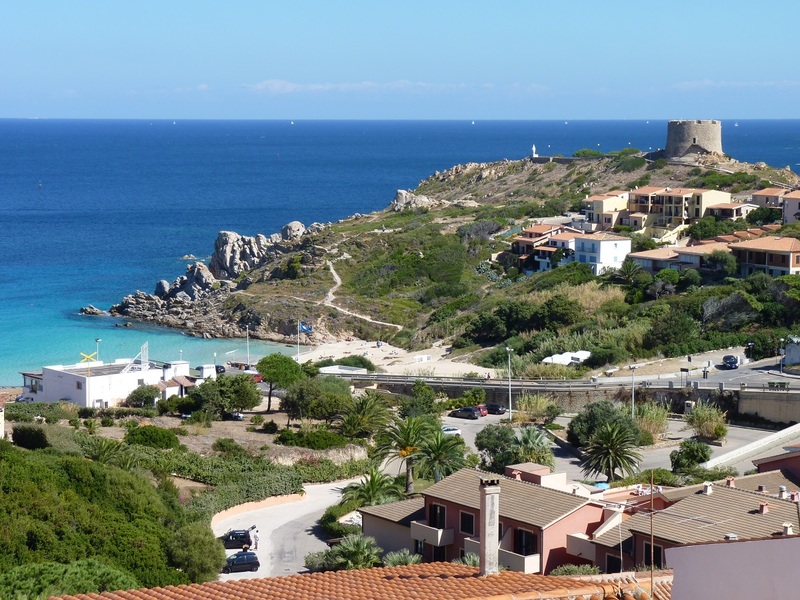 They are ideal for spending a beach holiday in Santa Teresa Gallura with friends or family in a totally autonomous and independent way. 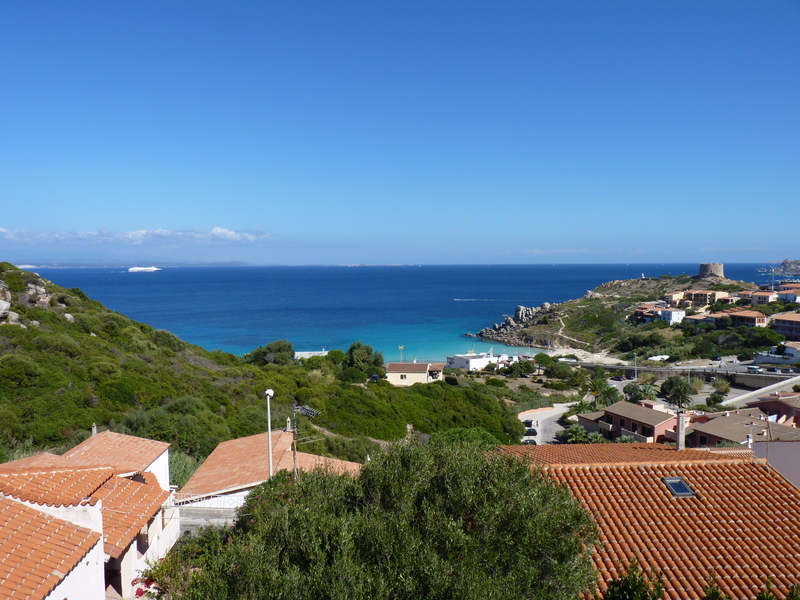 All apartments have equipped balconies or terraces which allow you to relax outdoors, some of them have the possibility to admire the breathtaking sea views of the Straits of Bonifacio. The two-room apartments of new construction, well furnished of minimum 50 square meters, can accommodate from 2 to 4 people and are located on the ground floor, first or second floor. Tastefully furnished, they are composed of living room with air conditioning, flat screen TV and double sofa bed (bilo4 superior), fully equipped kitchenette (stove, oven, fridge and freezer), double bedroom, private bathroom (sink, bidet, wc , shower) and balcony or terrace with chairs and table. The two-room apartments superior sea view of new construction, well furnished of minimum 50 square meters, can accommodate from 2 to 4 people and are located on the ground floor, first or second floor. Tastefully furnished, they are composed of living room with air conditioning, flat screen TV and double sofa bed (bilo4 superior sea view), fully equipped kitchenette (stove, oven, fridge and freezer), double bedroom, private bathroom (sink, bidet , wc, shower) and balcony or terrace with chairs and table where you can admire the spectacular view of the Bocche di Bonifacio. Ideal for families or groups. 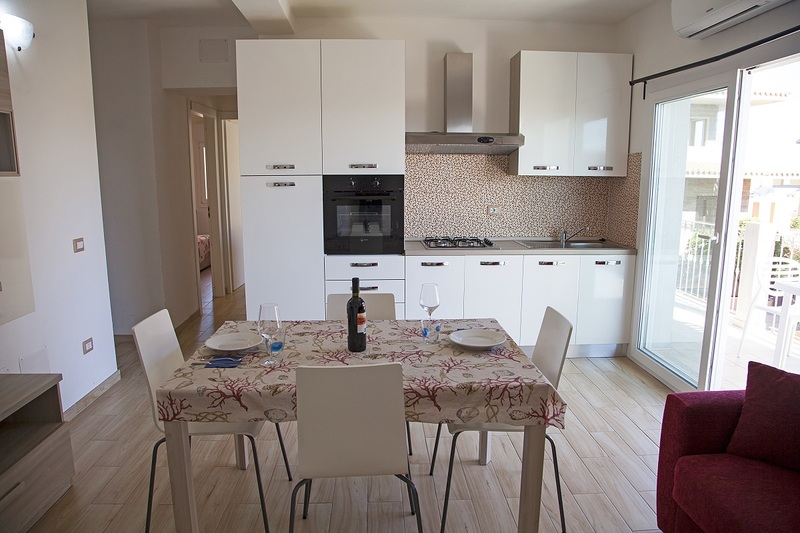 The three-room superior, newly built, well furnished of minimum 60 square meters can accommodate from 4 to 6 people and are located on the ground floor, first or second floor. Tastefully furnished, they are composed of living room with air conditioning, flat screen TV and double sofa bed (three rooms superior 6), fully equipped kitchenette (stove, oven, fridge and freezer), double bedroom, twin or double bedroom, private bathroom (sink, bidet, toilet, shower) and balcony or terrace equipped with chairs and table. Ideal for families or groups. The three-room superior sea view, newly built, well furnished of minimum 60 square meters can accommodate from 4 to 6 people and are located on the ground floor, first or second floor. Tastefully furnished, they are composed of living room with air conditioning, flat screen TV and double sofa bed (three rooms superior 6), fully equipped kitchenette (stove, oven, fridge and freezer), double bedroom, twin or double bedroom, private bathroom (sink, bidet, toilet, shower) and balcony or terrace with chairs and table where you can admire the spectacular view of the Bocche di Bonifacio. The two-room apartments of minimum 45 square meters can accommodate from 2 to 4 people are located on the ground floor, first or second floor. Tastefully furnished, they consist of a living room with a double sofa bed (two-room apartment 4) fully equipped kitchenette (stove, oven, fridge and freezer), double bedroom, private bathroom (sink, bidet, toilet, shower), balcony or garden chairs and table. The two-room sea view apartments of minimum 45 square meters can accommodate from 2 to 4 people are located on the ground floor, first or second floor. 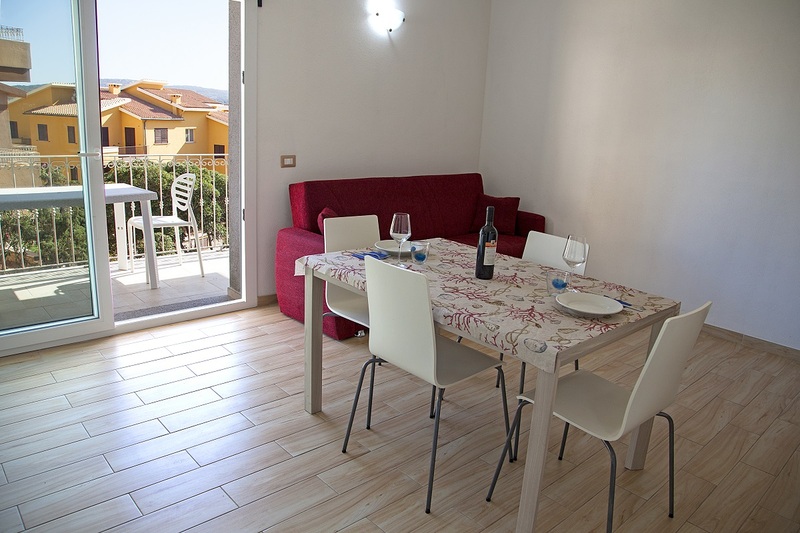 Tastefully furnished, they consist of a living room with a double sofa bed (two-room apartment 4) fully equipped kitchenette (stove, oven, fridge and freezer), double bedroom, private bathroom (sink, bidet, toilet, shower), with balcony or terrace of chairs and table where you can admire the spectacular view of the Bocche di Bonifacio. Ideal for families or groups. The three-room apartments of minimum 60 square meters can accommodate up to 6 people (Trilo 6), are located on the ground floor, first or second floor. 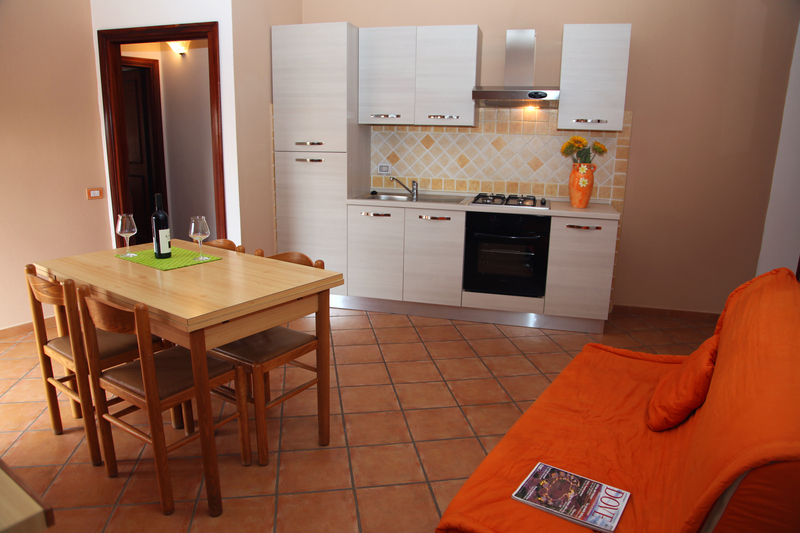 Tastefully furnished, they consist of a living room with double sofa bed (three-room apartment 6) fully equipped kitchenette (stove, oven, fridge and freezer), double bedroom, double bedroom or bunk or double, one or more private bathroom (sink, bidet, toilet, shower), balcony or garden equipped with chairs and table. Ideal for families or groups. 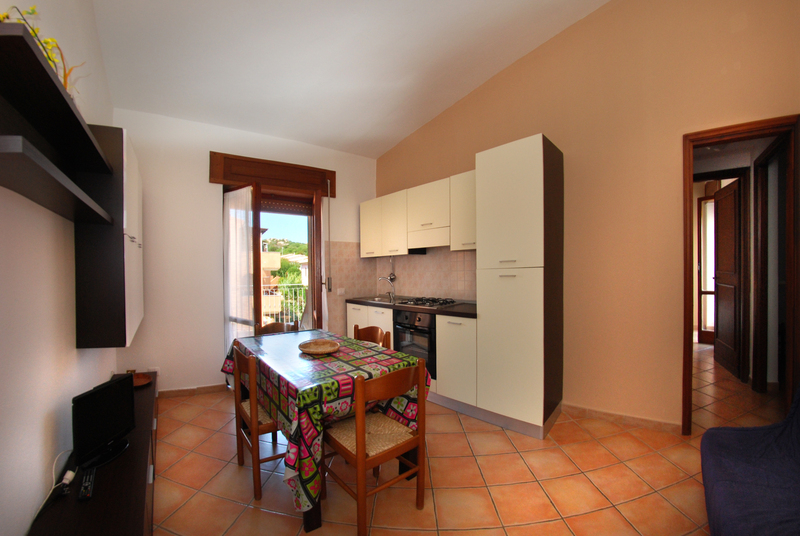 The three-room apartments with a sea view of minimum 60 sqm can accommodate up to 6 people, are located on the ground floor, first or second floor. Tastefully furnished, they consist of a living room with double sofa bed (three-room apartment 6) fully equipped kitchenette (stove, oven, fridge and freezer), double bedroom, double bedroom or bunk or double, one or more private bathroom (sink, bidet, toilet, shower), balcony or terrace with chairs and table where you can admire the spectacular view of the Bocche di Bonifacio. Ideal for families or large groups. The four-room apartments of minimum 100 square meters can accommodate up to 8 people, are located on the ground floor, first or second floor. Tastefully furnished, they consist of a living room with a double sofa bed, a fully equipped kitchen (stove, oven, fridge and freezer), two double bedrooms, a bedroom with bunk beds, two private bathrooms (sink, bidet, toilet, shower), balcony with chairs and table. Ideal for families or large groups. The four-room apartments with a sea view of minimum 100 square meters can accommodate up to 8 people, are located on the ground floor, first or second floor. 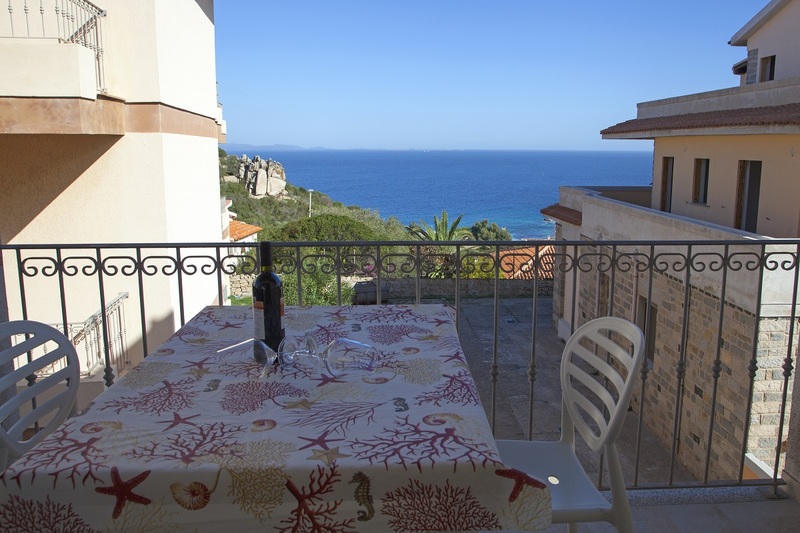 Tastefully furnished, they consist of a living room with a double sofa bed, a fully equipped kitchen (stove, oven, fridge and freezer), two double bedrooms, a bedroom with bunk beds, two private bathrooms (sink, bidet, toilet, shower), balcony with chairs and table where you can admire the spectacular view of the Bocche di Bonifacio.